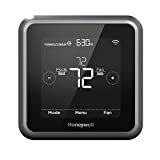 Smart Thermostats that Don’t Use a C Wire: Are there Any Options? Smart thermostats have become the social norm. It is not only convenient but energy efficient and transitioning into green living is on trend. However, some do not use C Wire also knows as the common wire. Options are available. C-wire is also called common wire. 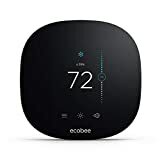 The connection enables 24/7 VAC power to your thermostat. If you have one, already, it runs from your furnace to your thermostat. To find out of you have a C-wire, you can check using the following steps. You will need to make contact with your HVAC technician to ensure you have a low voltage system. Online resources are a great help if you feel more comfortable trying to resolve the issue with as little help as possible. You have always been curious to see what the inside of a thermostat looks like, right? Take it off of the wall. Do not let the colors fool you, they mean nothing. The C-wire could be blue, but it could also be green, yellow, or even black. When you read your manual, it will lead you to the C-wire, or tell you that you do not have one. If you do not see the C-wire instantly, do not fret or wring your hands, merely check behind the thermostat. The wire is likely rolled up behind the wall. Alas, if you find no wire, then you do not have a C-wire. But, it’s not the end of the World. Not every home has both heating and cooling. It reduces the numbers of wires in general. Again, ignore them. You have your mind and heart set to buy a smart thermostat. Do not wring your hands about it. Not all options are as simple as a DIY explanation. With that said, if you know what you are doing, you can replace the existing wiring that runs from the furnace to thermostat and replaces it with a new installation that suits your needs. The distance may be short, making the job easy. But, if you find the task daunting, do not hesitate to call a technician. Add-on adapters are available for as cheap as 30 bucks. 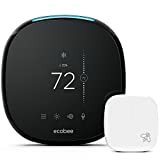 Installing an adapter is rather straightforward and allows you to have the smart thermostat you want, and you do not already have the wiring for the future with a C-wire. Some thermostats come with adapters already in place. The smart appliance is easy to install and use. But, it is not for everyone. You may still want to pursue an adapter for your existing thermostat, rather than buying a new one altogether. Smart thermostats are available that do not require a C-wire at all. But, not everyone can afford to replace an entire heating and cooling system. Every heating and cooling system is different. Some are new, while others are utterly ancient. The first step will always be you figuring out what category of thermostat you currently own and use. Not everyone has the skillset to decipher what sort of equipment they have. Most, if not all, smart thermostat manufacturers have a helpline you can call for personalized support, too, so give ’em a call if you’re truly stumped. You will also want to research and ensure that manufacturer has the parts and replacement parts you will require down the road. We at Protect America is a direct-to-consumer business that is willing and waiting to aid you over the phone through a DIY installation process.